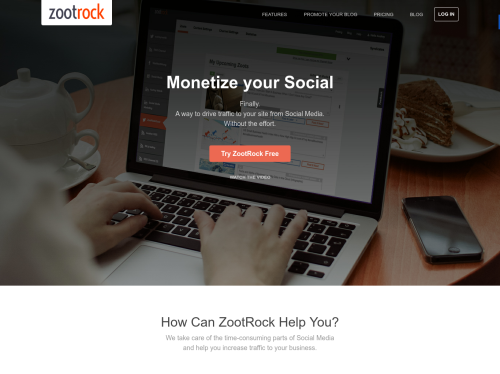 ZootRock helps businesses get tangible results from social media like never before. ZootRock finds great content for you to share on social media that engages followers. Then convert those followers by explicitly driving them to your site, leveraging overlay ads and retargeting. Drive traffic to your site, specific blog posts, event pages, crowdfunding campaigns and more!